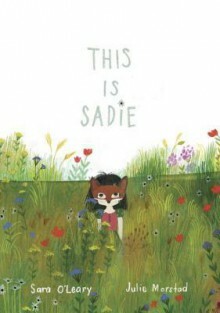 Take a look at Susan Hughes's favorite picture books! She is the author of the wonderful Maggie McGillicuddy's eye for trouble. I commented on the books I have read, and added the book blurb for the one I didn't. Enjoy! "Grant Wood believed that to be a real artist, he had to live in Paris. But ones he got there, he realized that to be a great painter he needed to return to the people and places, and even animals, that the knew and loved the best. 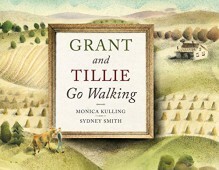 Inspired by the life or artist Grant Wood, this is the sensitively imagined story of the great American painter and a cow named Tillie". 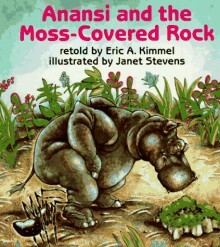 Anansi and the moss-covered rock is an old African folktale about a ... spider who uses a magic rock to trick other animals and get their food. But Little Bush Deer finds out what Anansi is doing and decided to teach him a lesson. The interesting thing about the tale is that although all the animals recover their food, Anansi doesn't really learns any lesson, and goes on playing tricks, as is his nature as a spider. Janet Stevens illustrations are very good, with the animals humanized at the point of walking in two legs, and many "modern" details in the illustrations. Kelly's favorite color is red, and there is a good explanation for that. 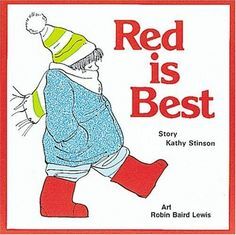 Everybody knows you can jump higher with red stockings, make better snowballs with red mittens, keep away monsters in the red pajamas, and take bigger steps with the red boots. A cute story about a kid's logical reasons for loving a color. 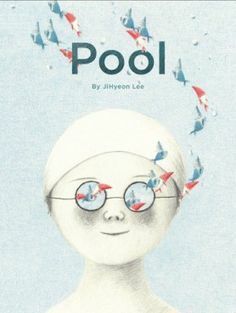 Pool is a beautifully illustrated wordless story about two kids who meet each other in a terribly crowded pool. At the beginning they look reluctant to interact, but sooner than later they dare to share a journey full of imagination, strange creatures, and fun. The deeper they dive, the deeper their friendship becomes. Beautiful story by a incredible talented author and illustrator.